Awarded by the chief of Police to officers who, in the line of duty, intelligently and heroically distinguish themselves through an act of gallantry and valor at imminent personal hazard to life with knowledge of the risk, above and beyond the call of duty. Red, white and blue breast bar. Awarded by the Chief of Police to officers who, in the line of duty, knowingly perform an act of personal bravery at hazard to life under circumstances evincing a disregard of personal consequences. Blue breast bar with a gold star. Awarded by the Chief of Police to officers who, in the line of duty, heroically reflect only the highest traditions of law enforcement service and the profession they represent. Yellow and white breast bar. 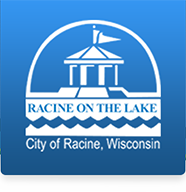 Awarded by the Chief of Police in recognition of honorable service to the city of Racine to any sworn officer or civilian employee at the time of their separation from the Racine Police Department providing those persons meet certain service criteria. Awarded by the Chief of Police to officers in appreciation and recognition for continued dedication and loyalty to the law enforcement profession and for consistent high quality performance as a professional police officer. The Chief's Leadership Award reflects a consistent yearlong, above-average effort with emphasis on leadership and high level of example demonstrated by the officer. Blue - Orange - Blue breast bar. Awarded by the Chief of Police to officers in appreciation and recognition for continued dedication and loyalty to the law enforcement profession and for consistent high quality performance as a professional police officer. The Exemplary Officer Award reflects a consistent yearlong, above-average effort. Orange and Blue breast bar. Awarded by the Chief of Police to that officer who performed with true dedication and noteworthy achievement in management coordination of a program or staff function; efficiency and effectiveness must be apparent. Blue - Gold - Blue breast bar. Awarded by the Chief of Police to officers in appreciation for the prompt and unselfish act of rendering aid and assistance to a fellow citizen that resulted in the saving of a life. Gold and White breast bar. Awarded by the Chief of Police to officers who perform a particularly noteworthy act or service based on a determined and intelligent performance. Blue and Light Blue breast bar. Awarded by the Chief of Police to members of a Unit who, through a cooperative effort, perform a highly creditable police accomplishment. Red and White breast bar. Awarded by the Chief of Police for the purpose of recognizing the officer who devotes the time and energy to attain the highest level of firearms proficiency. Green and White breast bar. Attached to breast bars to represent subsequent awards of the same type. If more than 3 clusters are needed, they are replaced with the proper numeral representation. Presented by the Chief of Police as a personal token of appreciation for a commendable and noteworthy action during the performance of normal duties. CITIZEN AWARD FOR VALOR is awarded by the Chief of Police to private citizens who risk life and personal injury in assisting a Racine Police Officer. This award is evidenced by a framed certificate. CITIZEN'S LIFE SAVING AWARD is awarded by the Chief of Police to private citizens in appreciation for the prompt and unselfish act of rendering aid and assistance to a fellow citizen that resulted in the saving of a life. This award is evidenced by a framed certificate. CITIZEN PUBLIC SERVICE AWARD is awarded by the Chief of Police to private citizens who render aid and/or assistance to a Racine Police Officer and/or a fellow citizen. This award is evidenced by a framed certificate. OUTSTANDING CITIZEN AWARD is awarded by the Chief of Police to private citizens who risk life and personal injury in rendering aid to a fellow citizen. This award is evidenced by a framed certificate. CIVILIAN EMPLOYEE POLICE SERVICE AWARD is awarded by the Chief of Police to that member who performed with true dedication and interest within the administrative function. This award is evidenced by a framed certificate.